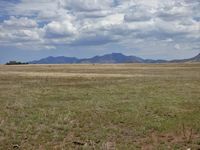 40 acres - Elgin, Santa County, AZ - Headquarters West Ltd.
39.9 acres of rolling grasslands located in Elgin, Santa Cruz, AZ, with 360° views of the surrounding mountain ranges. 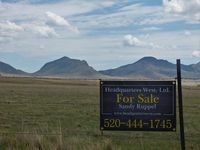 Elgin is a small rural town in southern Arizona and is often linked to the adjoining town of Sonoita. At just under 5,000? in elevation, the region is considered semi-desert grasslands. 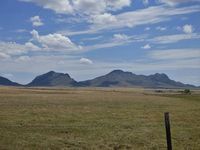 Historically run as ranchland - with cattle ranching still a major local industry - the Sonoita/Elgin area has also developed into one of Arizona’s prime wine producing locations. The local vineyards are active and draw tourists for wine tasting tours and festivals throughout the year. The Santa Cruz County Fairgrounds is set in Sonoita and has an active calendar which includes the county fair; a PRCA rodeo; live and simulcast horse racing on the weekend of the Kentucky Derby; and other festivals, activities, and equine events throughout the year. 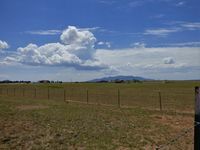 With the edge of Tucson located approximately 40 miles to the northeast of the main intersection, the Sonoita/Elgin area has drawn retired professionals and commuters to the community seeking the relaxed, rural lifestyle not available in the city. Tucson is the second largest city in Arizona and offers easy access to major medical services, the University of Arizona, Tucson International Airport, museums, Davis-Monthan Airbase, shopping, and a variety of entertainment and restaurant options. Southeastern Arizona is a region steeped in history and western lore - from the famous shootout between the Earps and Cowboys at the OK Corral in Tombstone; to the conflicts with the Apaches, including Cochise and Geronimo, which flowed into the surrounding mountain ranges; to the documented travels of Father Kino as he made his way across the southwest. The area is also rich with natural wonders, including Cochise Stronghold; Texas Canyon; multiple mountain ranges; and Kartchner Caverns, a spectacular living cave. With a mild climate, the area offers year round opportunities for a variety of outdoor activities including horseback riding, hiking, bicycle riding, motorcycling, and more. The average high temperature in Elgin reaches the low 90‘s in June, with mornings in the 60’s. The average low temperature drops to the low 30’s in January, but the afternoons warm to the 50’s and low 60’s. 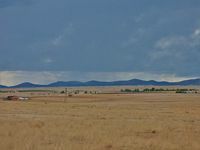 The average rainfall in the area is around 12 to 15 inches, with most of the moisture coming during the monsoon season, typically lasting from early July to mid-September. Morning clouds build to beautiful afternoon/evening storms. Please click here to download (about 2MB) a printable brochure in Adobe Acrobat format. If you get frustrated trying to make this work on your computer, don't hesitate to ask us to mail you a printed and bound brochure instead.